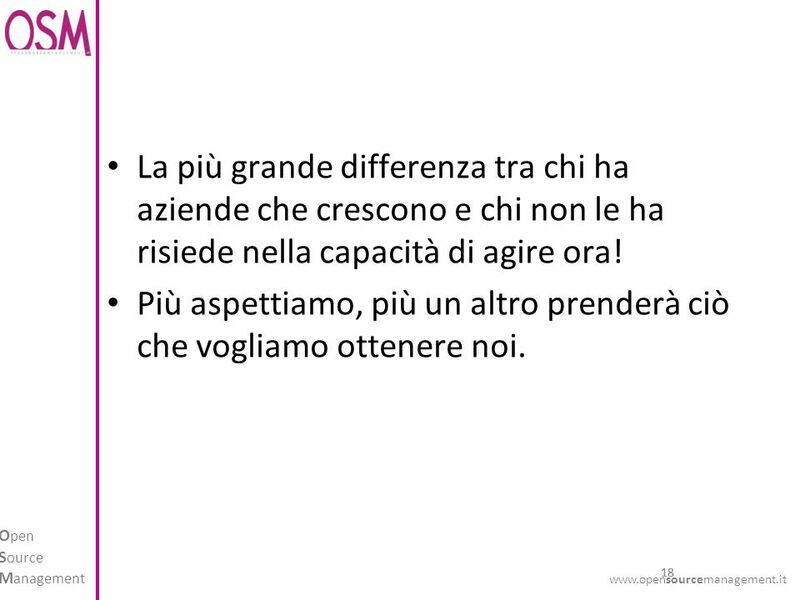 Far crescere limpresa www.opensourcemanagement.it O PEN S OURCE M ANAGEMENT. 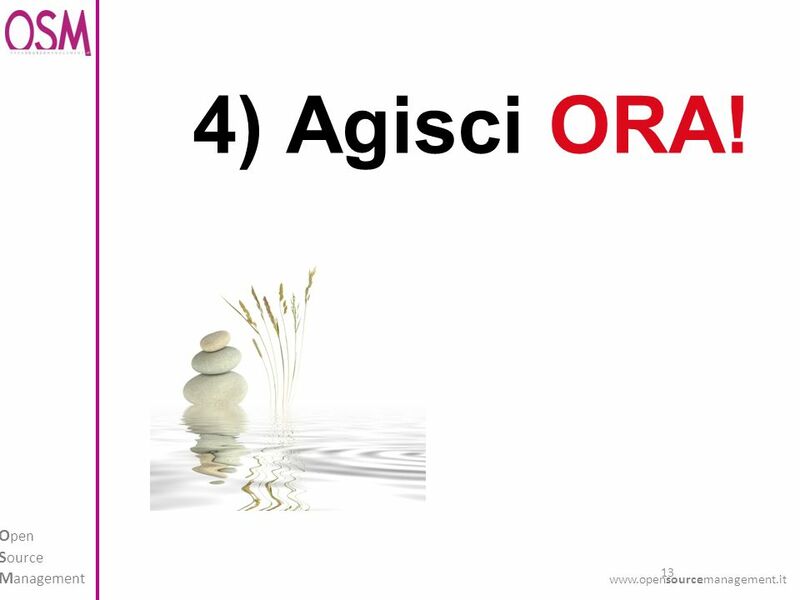 13 13 O pen S ource M anagement www.opensourcemanagement.it 4) Agisci ORA! 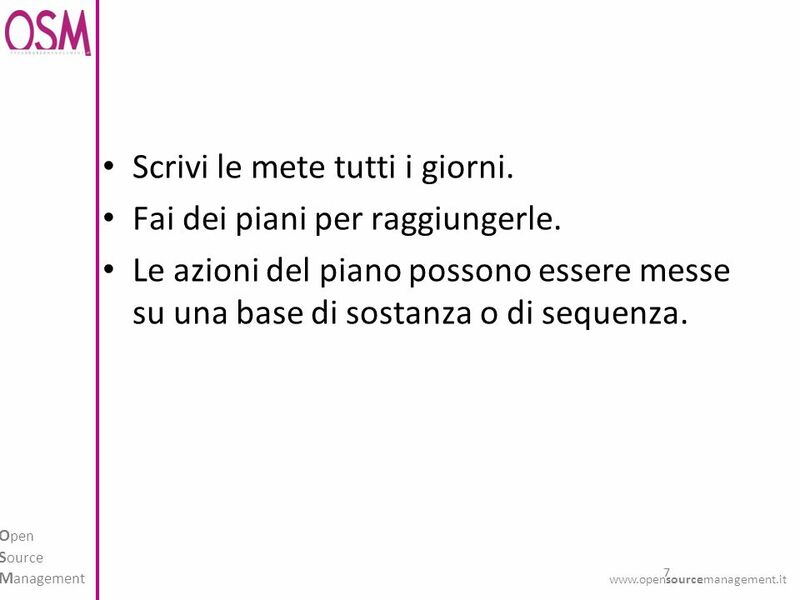 15 15 O pen S ource M anagement www.opensourcemanagement.it Le idee belle le hanno in tanti. 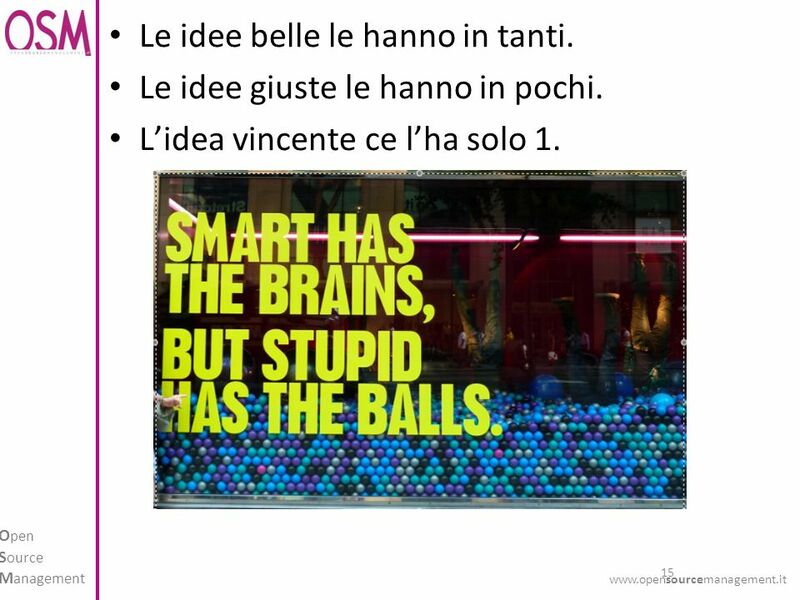 Le idee giuste le hanno in pochi. 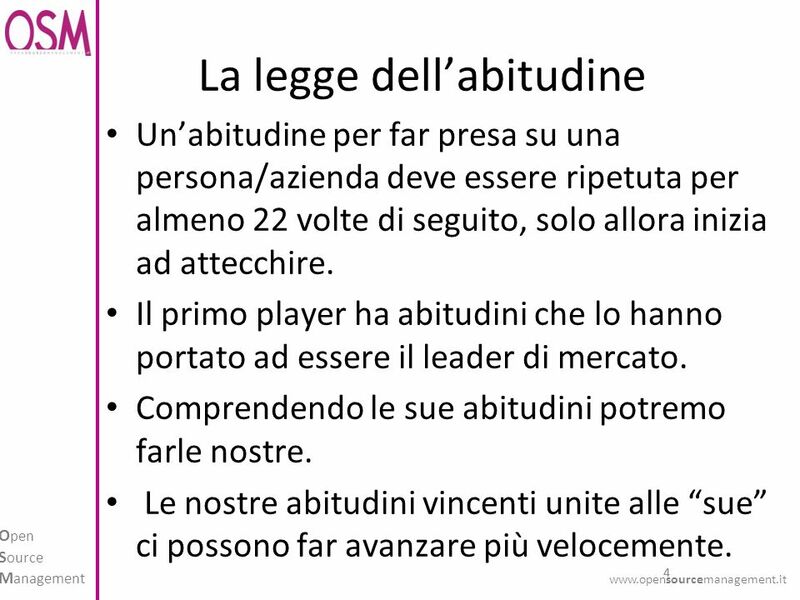 Lidea vincente ce lha solo 1. 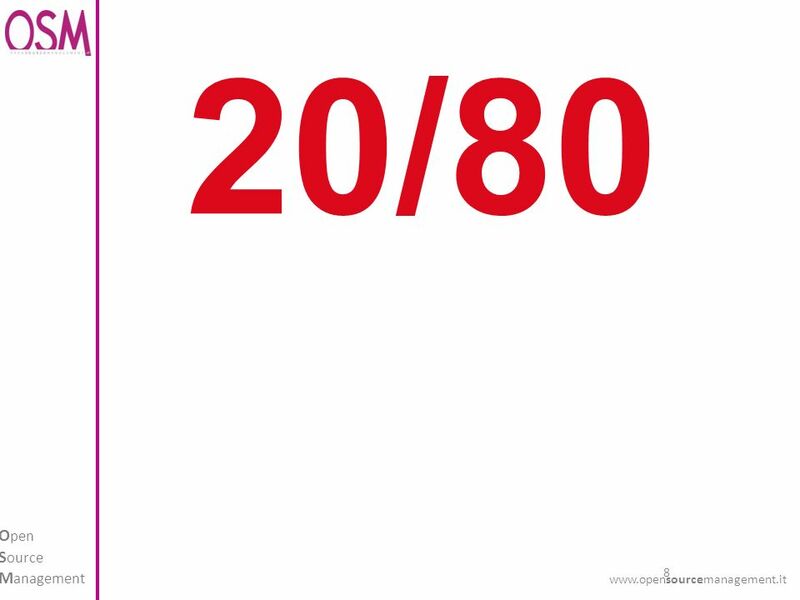 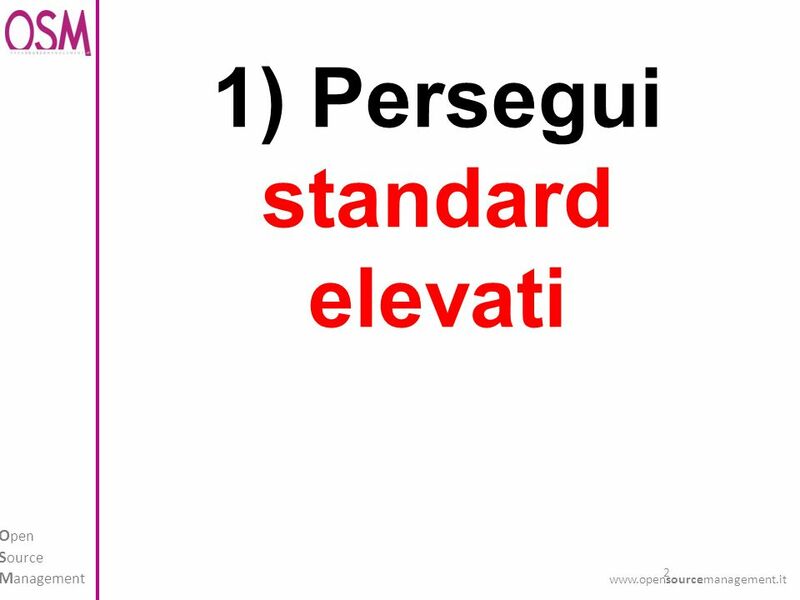 19 19 O pen S ource M anagement www.opensourcemanagement.it 5) Frequenta i migliori! 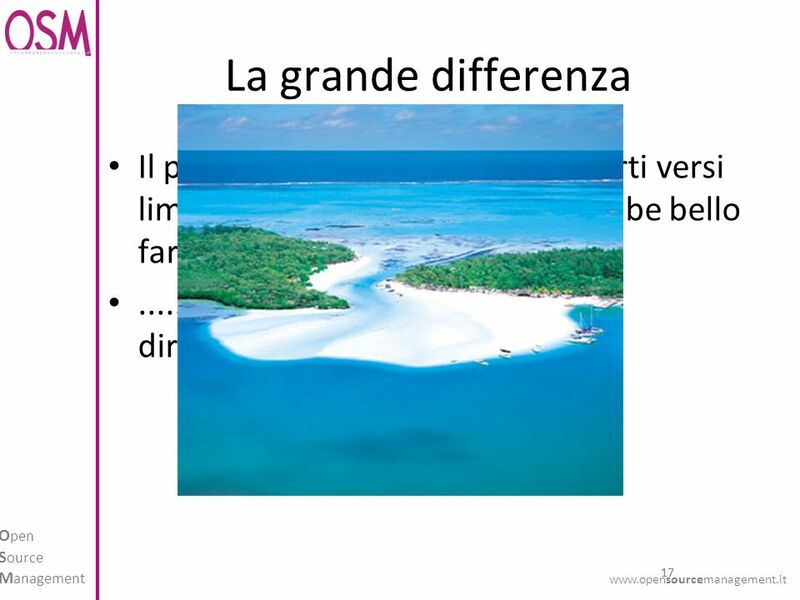 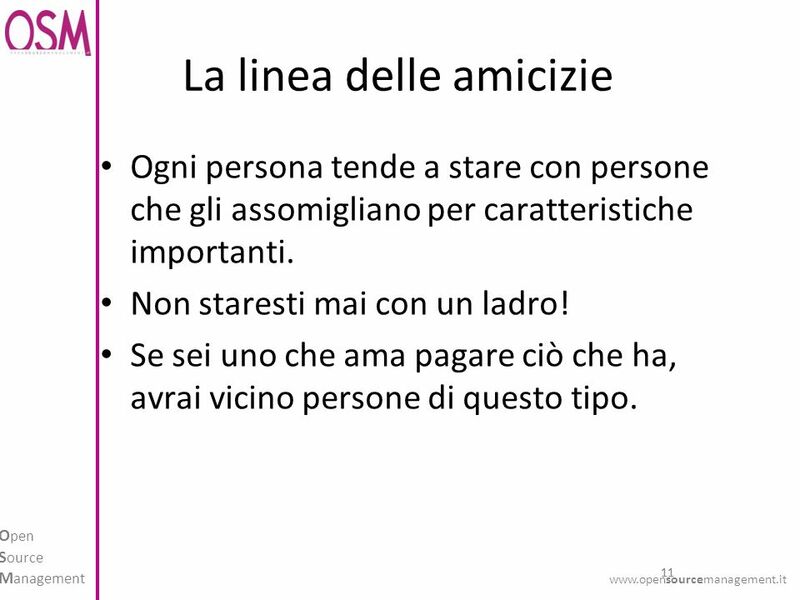 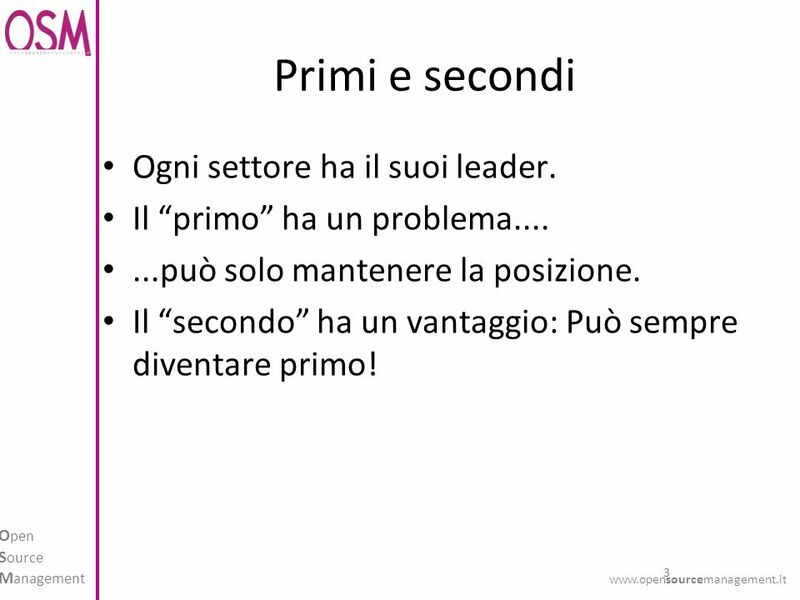 Scaricare ppt "Far crescere limpresa www.opensourcemanagement.it O PEN S OURCE M ANAGEMENT." 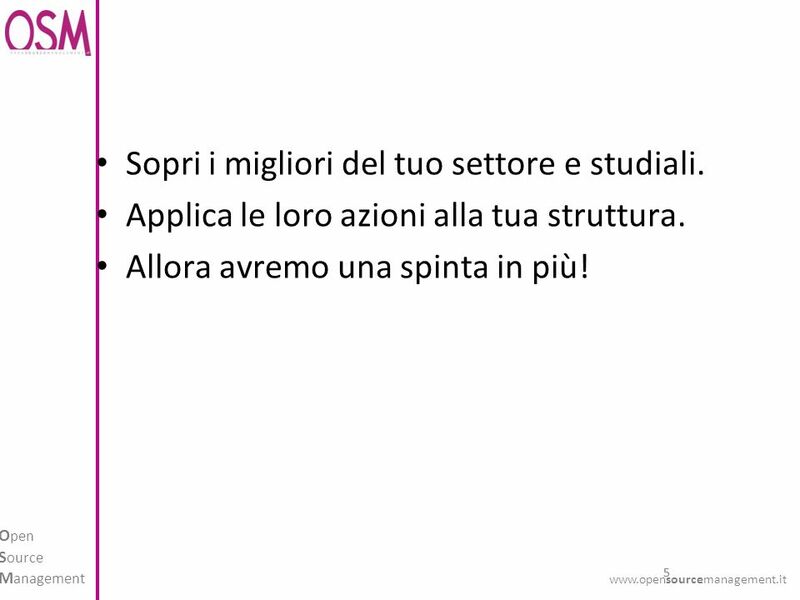 TOPOPROGRAM O PEN S OURCE M ANAGEMENT. 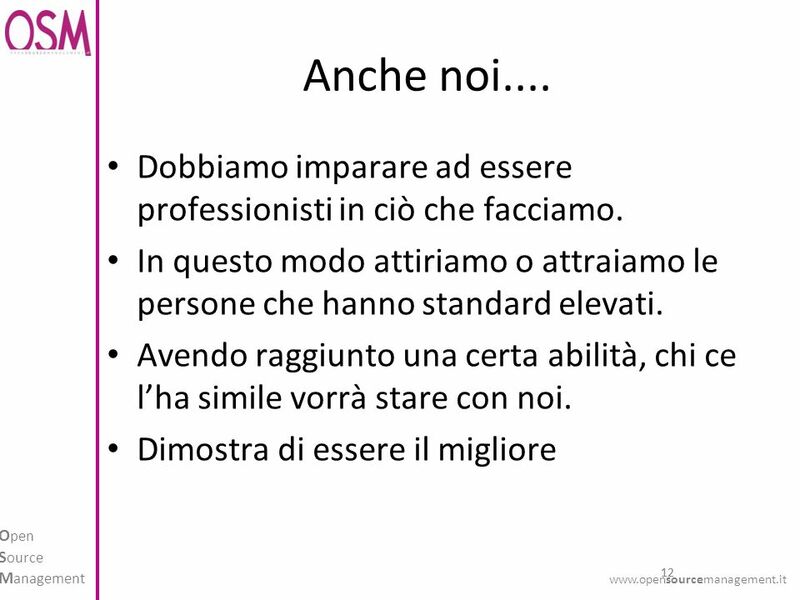 SE NON HAI SUCCESSO… Il problema non sei tu, ma è la tua filosofia… Non è quanto lavori, ma la filosofia che usi. 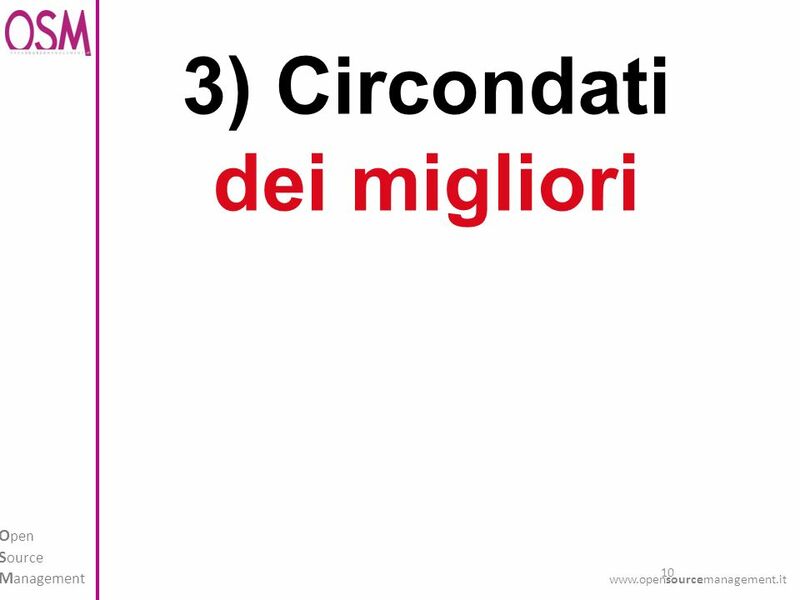 Come curi una filosofia sbagliata? 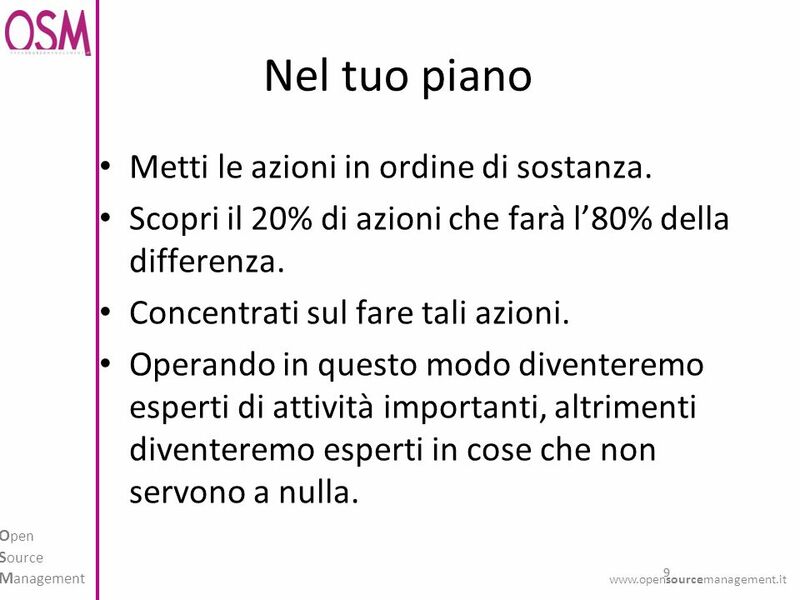 TEAM & EMOZIONI O PEN S OURCE M ANAGEMENT. 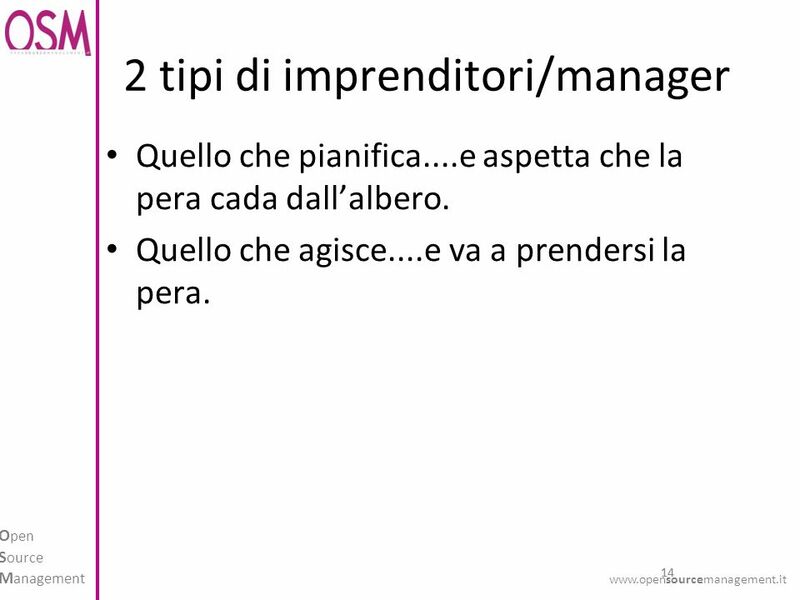 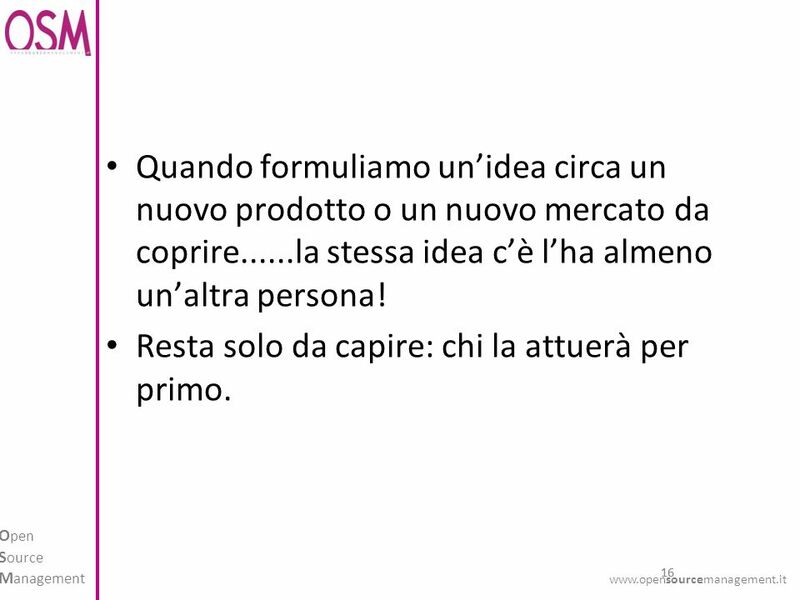 PICCOLE E MEDIE IMPRESE CHE BATTONO LA CRISI www.opensourcemanagement.it O PEN S OURCE M ANAGEMENT.